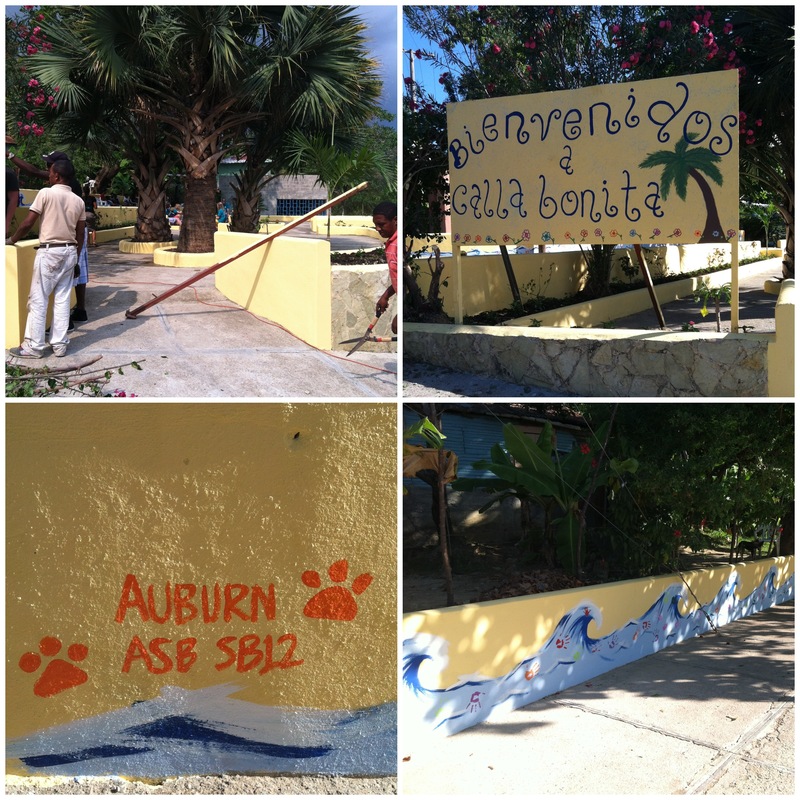 Check out this wonderful blog post on Auburn Family, Auburn’s Social Network written by Emily Landers. She participated in the Spring Break trip to Costa Rica last year. Thanks Emily! Wow. The resort is so nice!! I love the beach! We got here around 11 and checked our bags in bag check… then we hit the beach! Some people played volleyball, some lay out, some swam. The water was perfectly clear, a little rocky, but a beautiful turquoise. And you could see fish! Tonight we went to the buffet for dinner, and it was so good. After dinner, we went to a conference room where Rick and Carrie, the directors of the organization we worked with all week, showed us a slideshow of pictures from the week. It was really cool to see everything we accomplished… then came the sad part. We went around the table and each shared what we would take away from the trip. For the seniors, especially, it was a really moving, special time. All of us were touched in a unique way, but we all went on the same trip. It is so rewarding to listen to your friends share how they were changed for the better throughout the course of the week. I am so glad to have come on an ASB trip again. The week was absolutely perfect. I would not have changed a thing, well maybe the rat haha. 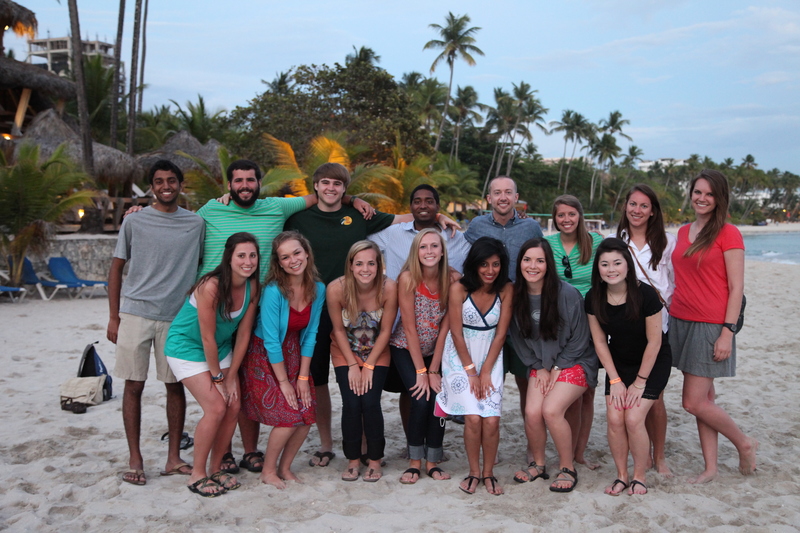 I know I will never forget this week, and I just want to stay in the Dominican Republic for another couple weeks at least! Hopefully, the lessons I have learned from the week will stay with me forever. I truly spent an entire week serving other people instead of worrying about and doing things for myself, and all week I was so happy… truly joyful! It is so cool to experience joy when giving of yourself. Today was bittersweet. We finished the park completely! The sign, flower beds, mural, gloss finish, etc.- everything is finished!! Yay! Later in the afternoon, we got to chill a little bit, which was nice because we were all exhausted. We had our last closing meeting at the house today, which was sad. We got to spend some time with the high school students that are staying at the house too. We leave tomorrow morning for the resort, and I am not ready to leave. Yesterday was a fun day here in Costa Rica. We left Casa de Franco and headed to the ASIS Wildlife Center. We got to play with monkeys, birds, and sloths….a first for many of us. We then helped clean cages and prepare food for the animals. It was a lot of fun and a learning experience for us all. We loaded up and headed to our next hotel, Hotel Vagabondo in La Fortuna. After a quick walk to the local supermarket to load up on coffee to take home, we ate lots of pizza and hit the sack. 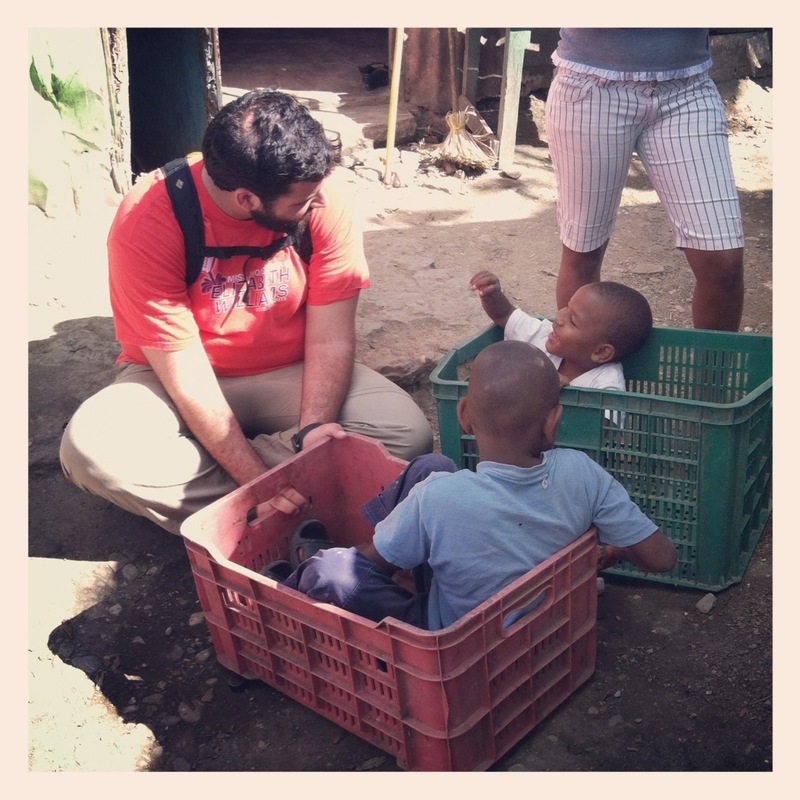 Today we spent the morning at an orphanage playing with kids and doing a little work too. I think all of us were wishing we could take the kids back to Auburn with us! The afternoon was spent seeing a waterfall and playing at a hot springs water park. It was a blast and an opportunity of a lifetime. It’s probably safe to say that we aren’t ready to come home! If you’re keeping up with us via Twitter, you’ve probably noticed our trip sounds like just as much fun as service. There’s a simple explanation: our service has been so much fun! The park rangers we have been working with are so thankful for our time and assistance that they try to infuse fun into every aspect of our projects. Today we volunteered at Chekika National Park. We got to hang out with the firefighters at their fire station and help them with everything from painting a bathroom to organizing their firefighter uniforms. Don’t worry, we didn’t have to fight any forest fires today! We were all very surprised to hear how common fires are in the Everglades. Many of the fires are prescribed, but unfortunately others are not. In addition to our work at the fire station, we got to help the park rangers mark the boundaries of tourist trails by hanging up signs while running through tall, safari grass. Unfortunately, weather conditions brought our work to an early end. To fill our remaining time in the park, volunteer rangers took us on UTV tours through the tall grass in the pouring rain. We even clocked one of our carts going 53mph! We explored a hidden lake and saw 7 baby alligators. What a fun way to end our day! Hope all are having wonderful trips! I am waiting for dinner to be ready. We are having Sancocho tonight, which is sort of like a giant stew with a lot of different vegetables and meats. I am sure it will be good! This morning was the best so far! We went to the orphanage, but the girls were at school, so we went around to some hurricane-damaged communities nearby and gathered children to play with and feed. We got to hang out will them for about two hours, which was so much fun! I played mostly with a boy named Domingo; later, we played with 3 other boys- mostly games with a huge blown up ball or a football. We played on the playground some too. They put a huge smile on my face all day- favorite day so far!!! In the afternoon, we went to a hospital to give gifts to women in the maternity ward. I got to hold a sweet baby girl with a Precious Moments blanket. She was beautiful and perfect. Hospitals here are way different from those in the U.S. It made me so thankful for the medical care we do have. So many people slam the American system, and although it does have its flaws, we still get such a high quality of medical care that most people do not get in the rest of the world. Tomorrow is our last day for service, then we go to the resort. In a way, it seems like the week has gone by way too fast, but I am also really ready for a hot shower haha. We will hopefully finish the park tomorrow (or get close!) and we will get to say good-bye to the kids at the orphanage. It will be sad to say good-bye because I know I will probably never see them again. Hello all! We are so sorry that our first blog post has been delayed until now, but we have been so busy working in the beautiful Everglades! We touched down in Miami on Sunday and have been having a blast since. The local culture, environmental landscape, and exotic animal life have more than added to this wonderful experience. We spent our first day with Park Ranger Jill learning more about the historical and scientific significance of the Everglades. We worked on landscape upkeep in Big Cypress National Forest and even got to see 40 alligators! No, this is not a typo. Ranger Jill led us through a beautiful hike to a sink hole which is home to more gators than the Florida football team. We stood just a few feet away from this pack of gators and took many snazzy pictures because we knew no one would believe us. Yesterday was probably the greatest adventure of all of our lives. We went… SWAMPING! Our work included removing an invasive species (the water hyacinth) from a freshwater area on the preserve. We had to wade through four feet of murky swamp water with baby alligators within ten feet of our work site, the entire time knowing Mama Gator was somewhere near. Needless to say, we were all terrified to begin with, but it ended up being such a rewarding experience (and no one lost a limb.) We are proud to say that we successfully removed all of this invasive plant! And we even got to carry nifty hiking sticks. Park Ranger Ceresa was unlike anyone we have ever met before, and we were eager to soak up all knowledge she could bestow upon us about the environmental conditions of the preserve. Today we moved over to Key Biscayne National Park to clean sea turtle habitats. The amount of trash that has washed up on this beach was unsettling. Please think before you litter! You never know what beautiful wildlife could be compromised by the seemingly small trash you don’t properly dispose of. 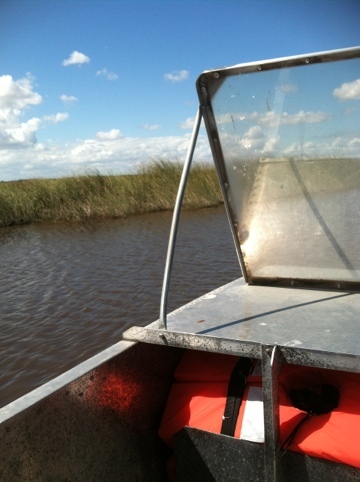 After our long day of work, we decided to treat ourselves to a little hump day surprise… an airboat safari!!! If this isn’t on your bucket list, you definitely should go put it on there this very moment. We saw so many alligators and even got to hold one! To finish the day off, we came back to our cabins and relaxed in our ENO hammock to take in the beautiful South Florida air. We are having such a wonderful time here in the Everglades and can’t wait to share more about our adventures in Gator Country! PS – HAPPY PI DAY!!! !